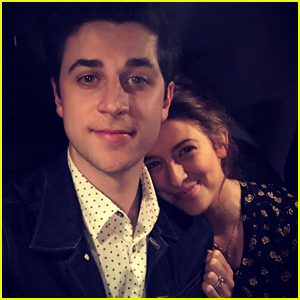 David Henrie Reveals Inspiration Behind Baby Pia’s Name | Celebrity Babies, David Henrie, Maria Henrie, pia henrie | Just Jared Jr.
David Henrie and wife Maria just welcomed their first child, a baby girl named Pia, this week. In a new Instagram, the 29-year-old actor and director shared her first pic with his fans, as well as the inspiration behind her name and the trials he and Maria went through to welcome Pia to the world. “For all those who are struggling #pray #hope and #dontworry !! Always,” David added. See baby Pia‘s first pic below!